The axMBD2PC converter makes it easy to connect any device with a serial interface (RS232) to a vending machine using the MDB-Interface. Ever wanted to connect your PC to a system running with the MDB protocol? Have you ever thought about writing a test application for your MDB device, or even run automated test? The axMDB2PC board will be your solution. 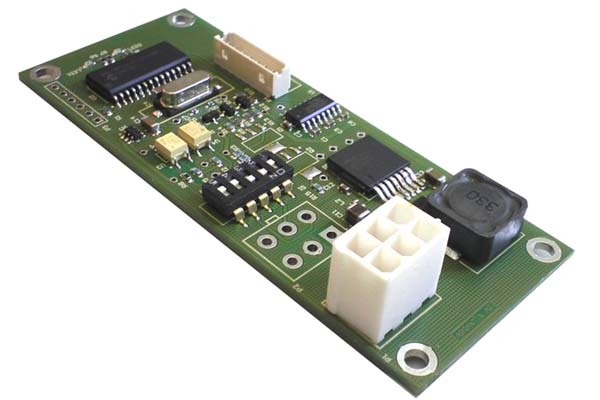 The axMDB2PC board is a piece of hardware that can act as an MDB master or an MDB peripheral device. It is fully MDB compliant and handles the conversion of the 9 bit communication requested by MDB devices into an 8 bit protocol understood by regular PCs. Furthermore, it takes care of polling and timing mechanisms of the MDB system, leaving you to deal with the important requests only. Simply connect your MDB system over the axMDB2PC board to the serial port of your computer and you are ready to go. With the provided sample source code, you will be able to run any custom application on top, from a very simple test application to a full blown test suite or vending machine on your PC.